The year is rapidly coming to a close. Like I say every year, this year has FLOWN by. I don’t know about you guys but I love reading. ❤️📖 I planned to read 1 book a month in 2018 but once I got into August, I got so busy with life that I kind of fell off the wagon. Also all of these books I’ve sat down and read. I love the idea of audiobooks but in this season of life my kids seem to always be awake and noisy or they have opinions about what we listen to in the car. 🙄 But I digress. Here’s a list of books I read this past year followed by my favorites. Biographies and memoirs are my favorite category of books to choose from. The majority of the books I read fall into the memoir category aside from Journey to Self Love which is self-help and An American Marriage which is fiction. I thoroughly enjoy seeing how other people live and learning from their experiences. I enjoyed all of these books aside from We’re Going to Need More Wine by Gabrielle Union. I mentioned this in another blog but I didn’t enjoy it because it didn’t really live up to my expectation of who I thought the author was. Growing up, I idolized Gabrielle Union so much for being a melanin-rich woman of color when there weren’t a lot of women that resembled my skin tone in mainstream media. Plus, Bring It On was my favorite movie from junior high. That being said although Union is very well spoken, she is also very vulgar which surprised me because of the rolls that I’ve seen her in though, to be honest, I haven’t followed her career as closely in recent years as I did in the early 2000s. I know the vulgarity reason for disliking a book is a double standard because The Last Black Unicorn by Tiffany Haddish was one of my favorite books of the year and while being especially vulgar, I knew what I was getting myself into. Stand-up comedienne and actress Haddish has such an inspirational story of how she overcame fostercare, illiteracy and having a mentally ill mother. I think I finally got around to watching the movie Girls Trip in February after I read the book. I had so much respect for her and her attitude from what I’d seen in her interviews that when I saw the movie (which is equally vulgar) I loved her for it. 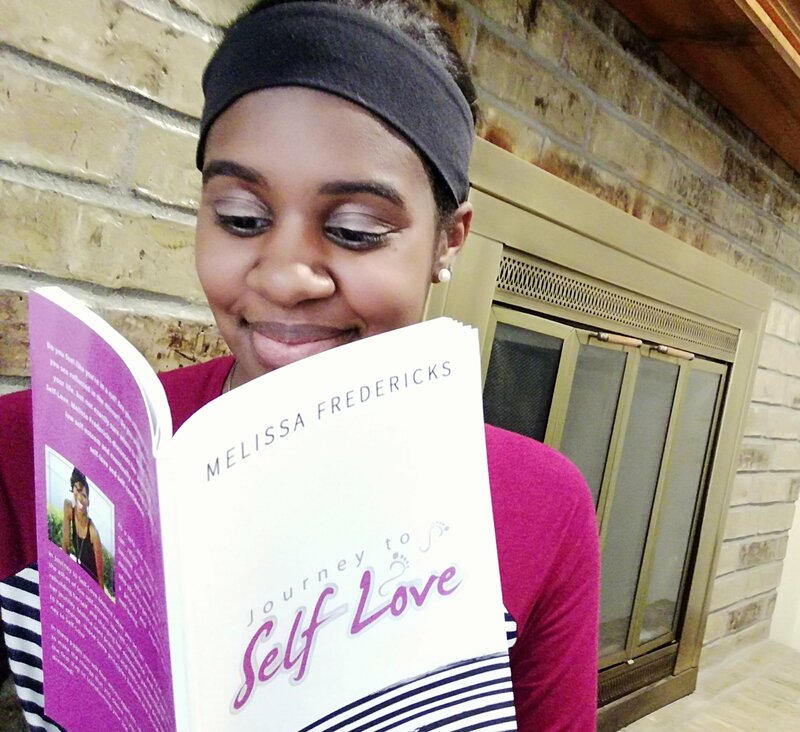 I also really enjoyed Journey to Self Love by Melissa Fredricks also known as MrsKevonstage on social media. I got to see and her husband, Kevonstage, on tour back in April in St. Louis during a live version of their podcast The Love Hour and met her afterward. She was the sweetest. I’m getting off the track again but I loved this book so much that I did a whole blog about it which you can check that out here. An American Marriage is a fiction novel and Oprah’s Book Club pick that I read over the summer. I didn’t really know anything about it but the title intrigued me. It’s the story of a married couple where the husband is wrongfully accused of a crime and sent to prison. It’ll definitely make you think about the American judicial system and how marriage and family relationships can change during time behind bars. The ending is also surprising. The last two books that I read this year I actually started in 2017 but had to totally start them over because it’d been so long since I read them. Born A Crime by Trevor Noah, host of the Daily Show discusses Noah’s upbringing in apartheid South Africa where it was illegal to have interracial relationships – hence the title of the book. The Magnolia Story by Chip & Joanna Gaines tells the tale of how the Gaines’ built their business empire from humble beginnings and all of the ups and downs along the way. I really enjoyed that book as well. It reminded me so much of how God has a plan for everything in your life and how those plans work together for good. An honorable mention is Everybody Always by Bob Goff that is a faith-based book about loving everyone just because. I got about halfway through it but then had to return it to the library. A friend gave it to me a month or so ago and I’m looking forward to finishing it in 2019. Currently, I’m reading Parenting with Love and Logic by Foster W. Cline and I have some AMAZING books on hold at the library like Becoming by Michelle Obama and Crazy Rich Asians that I’ll be reading in the new year.